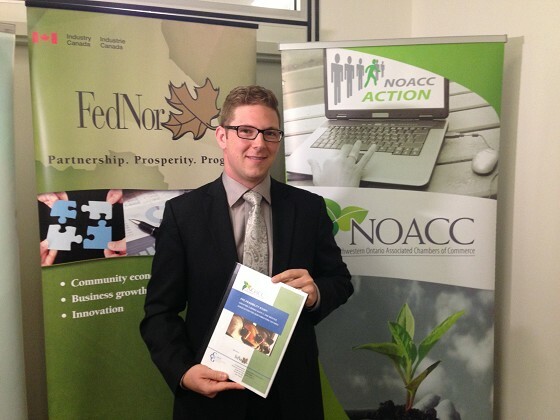 The Northwestern Ontario Associated Chambers of Commerce (NOACC) recently released a Mining Supply & Services Association Pre-feasibility Study and outlined planned steps to advance mining supply and service chain development for Northwestern Ontario. The completed Pre-feasibility study outlines 5 possible options for creating a mining supply and service association for Northwestern Ontario and identifies the level of risk and feasibility of each option. NOACC has elected to proceed with option 5: to create an Activity-Based Mining Supply and Service Sub-Committee that administers mining related activities and events for Northwestern Ontario.